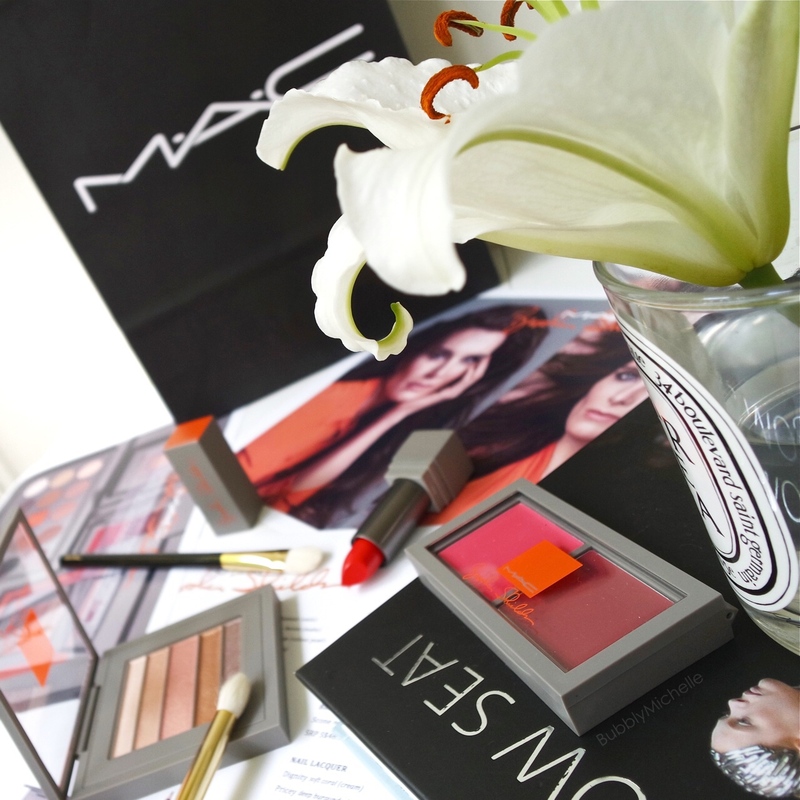 Finally the MAC Brooke Shields collection hit the stores yesterday and here’s my review just in time. 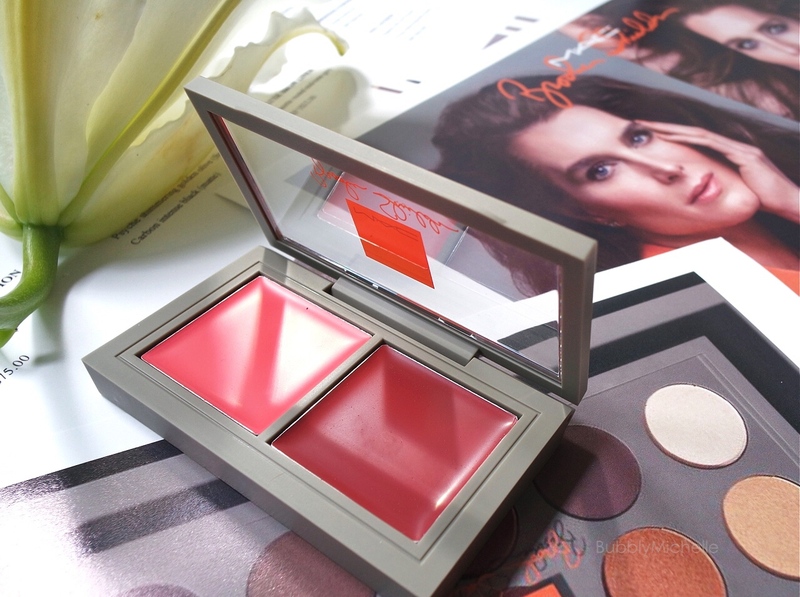 From the assortment I received, I managed to test out the eyeshadow palette and lip cheek Cream Colour Base for a good while now, so I am comfortable putting my thoughts down. As you can see most of the collection is pretty much daily essentials for real woman like you and me and all the colours are workable in real life. I specially loved how the collection is well thought out in aspects such as ease of use and multi functionality. And the sleek design is also nice without any unnecessarily bulky packaging like some companies do when it’s a LE collection. Here’s a closer look at the beautiful warm colour spectrum. This palette contains 5 eyeshadows in a strip design. I personally prefer the round pan palettes as I feel it’s easier to get into the pan with my makeup brush without having to carefully dip it in and worry that the adjoining shade is going to somehow end up on my brush as well!. But of course using a smaller brush (specially when picking up the two uppermost and lowest shades) this can be used just fine. The colours here are all warm and very wearable and these are actually my go to shades when it comes to everyday eye makeup. 1st strip -A mauvey taupe. 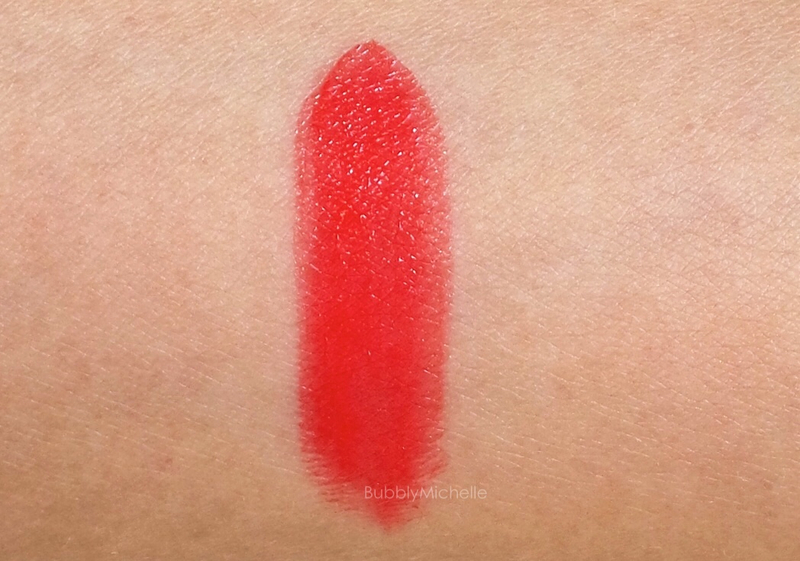 The colour payoff was impressive and was for the most part opaque in one swipe when swatched. 2nd strip -A warm copper. The colour payoff of this was top notch, it almost looked metallic. I believe this might be too warm for some skin tones but for those who love colours like this, the formula won’t disappoint! I found it buttery smooth and blended beautifully as well. 3rd strip – A shimmery peachy pink. This looked more shimmery when applied when compared to the first and the second colours. The colour payoff was better as well. 4th strip -shimmery beige (a perfect transition colour in this case). The colour was soft to the touch and applied well with a medium colour pay off. 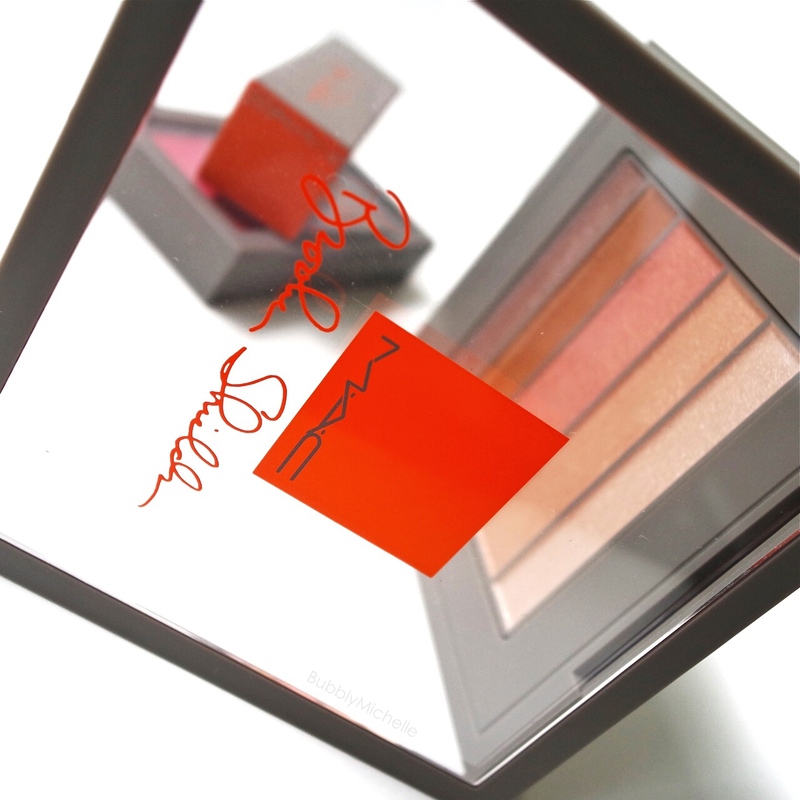 The overall quality of the eyeshadows were good and there were no duds in this palette. I also didn’t notice much fall out during application and that they blended together easily without having to work at it. Lastly, I believe this is a winning colour mix for those with warm complexions. And for those of you with heavy pink undertones this might be a bit too warm. Specially when the copper and the peach come to play. Now onto the Cream Colour Base palette, Cherished. A perfect product for those of us who like to keep just a few staples in our stash without having to buy a 101 products for daily use. This duo comes with a bright coral pink and a soft burgundy. 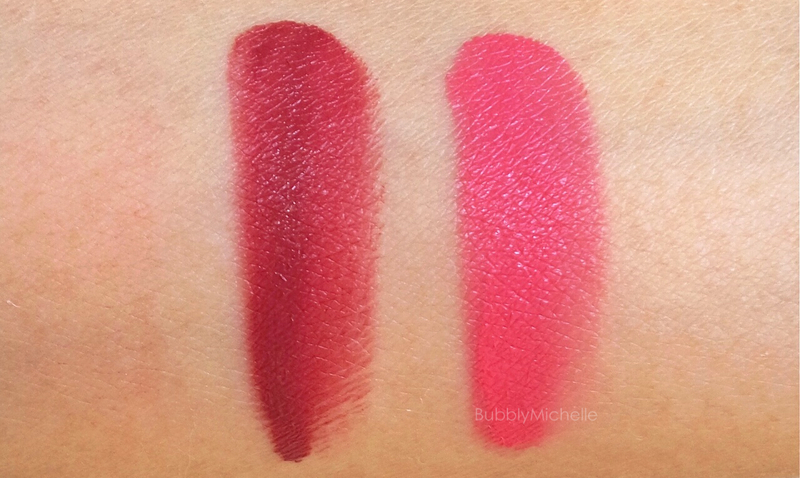 Both feel extra emollient when swatched and isn’t what i’d call dangerously highly pigmented. it’s a good medium where you can apply in a hurry and not have to worry about having clown cheeks. And even if you do go a bit heavy handed, the texture is very easy to blend out. Also these work just as well on the lips and feel somewhat like a tinted balm. And best of all they didn’t dry out the lips. Throughout wear it felt mildly hydrating too. A closer look right at each perfect pan. I felt sooo bad disturbing this perfectly set cream… Arrrg! But it had to be done! The shade I received for review was Excite, a cremesheen lipstick. This was a bright orange red with a soft shimmery satin finish. 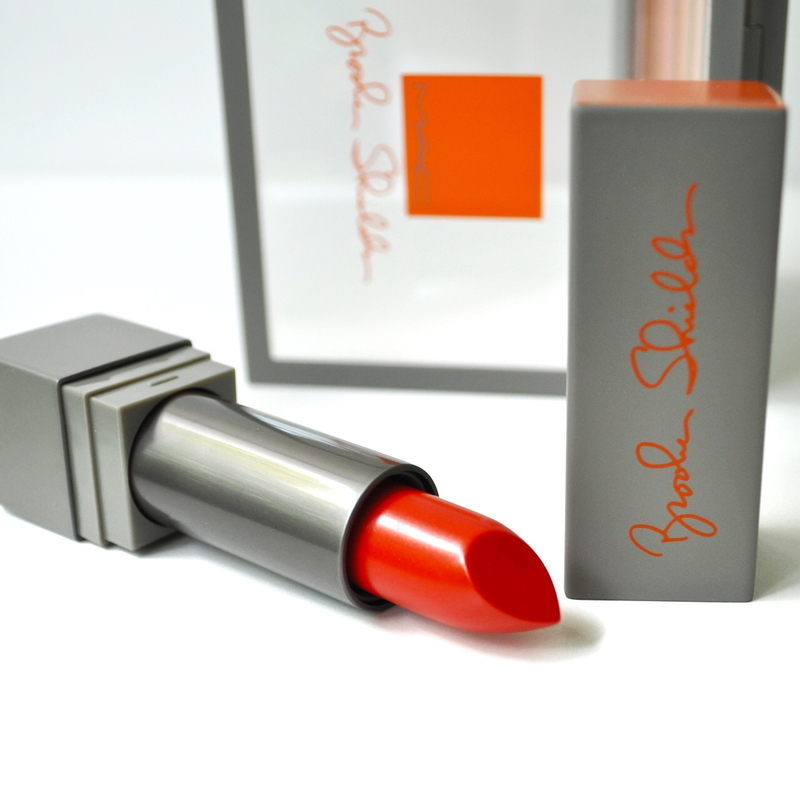 Although the colour may look daunting to some, rest assured that this is a sheer to medium coverage lipstick that departs just a juicy wash of orange red for a kissable pout. If you prefer a more intense look, a few additional passes gives a nice semi opaque wash of colour. The lipstick was very comfortable to wear and lips felt hydrated. And although I didn’t test out longevity, judging by the texture i’d say you’d get a good 2-3 hours before having to re apply. Here’s a swatch. This was taken with a few passes to build up intensity. Now onto a quick look I created with these three products! Please excuse the unruly brow hairs! 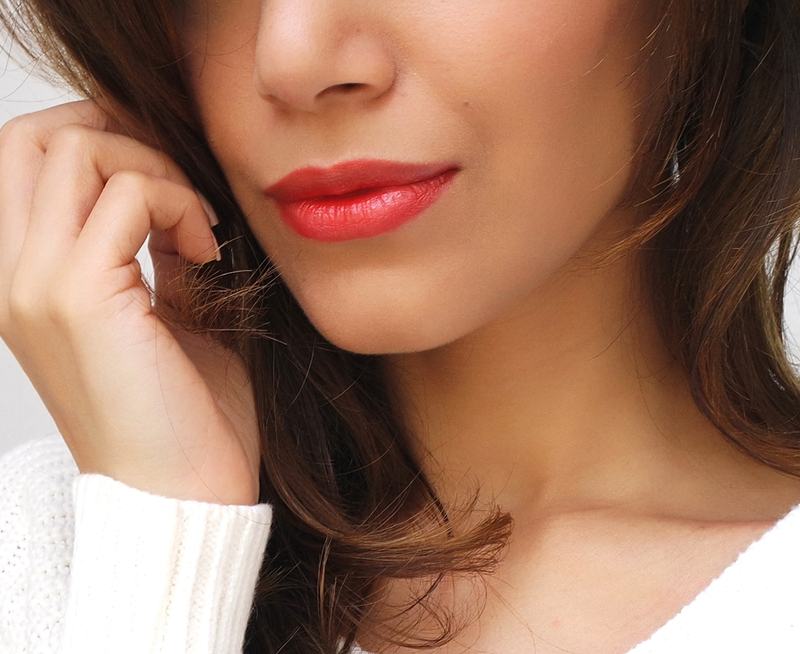 In retrospect, should have used the brow fix gel ..
And a closer look at this gorgeous orange red lipstick when worn. I really loved the Mortal eyeshadow palette and the Cream Duo set best and thought they were a very good buy. Mostly as I see myself using these types of shades on a regular basis. 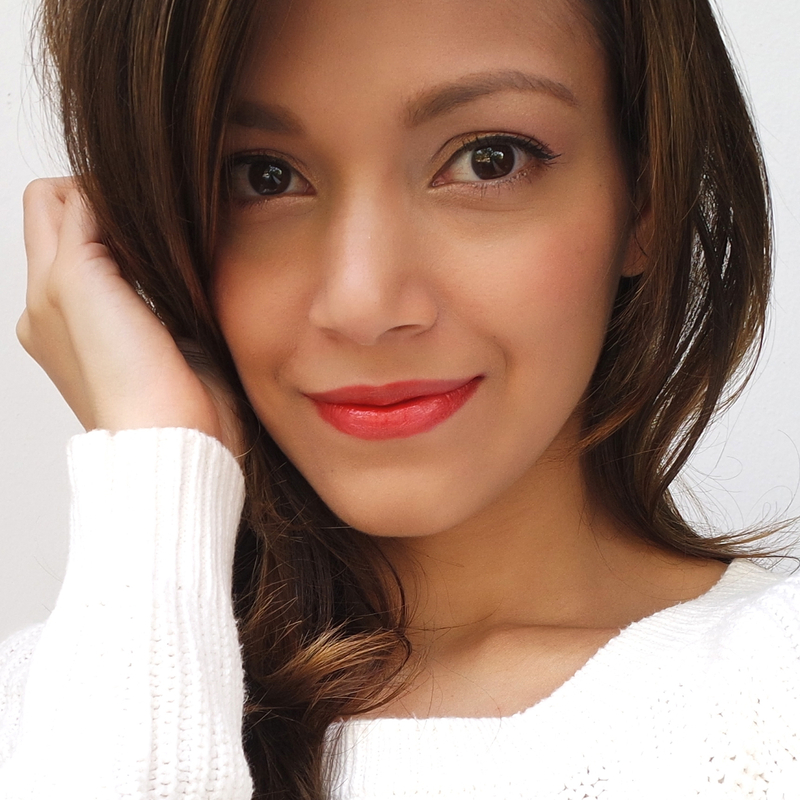 As much as I loved the lipstick for it’s interesting colour I believe that the price was a bit on the steeper side (This retails at S$42) compared to regular MAC lipsticks which retail at S$ 33 and may not be accessible to most. 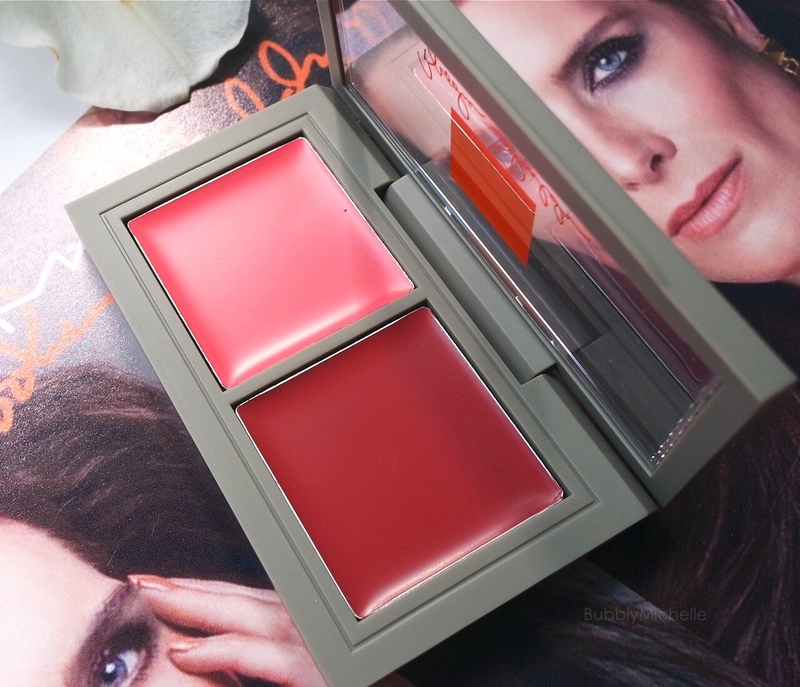 The MAC Brooke Shields collection is now available at MAC stores island wide. Lastly thank you for reading and hope you found this post useful. Wishing you a beautiful day ahead! Such a great review! The more I see of this palette the more I love it:) I agree with you about round shadows as compared to strips. It’s just so much easier to work with. Thank you so much 🙂 I’m glad you find it useful! Love this review! The lip color is gorgeous and you look amazing! 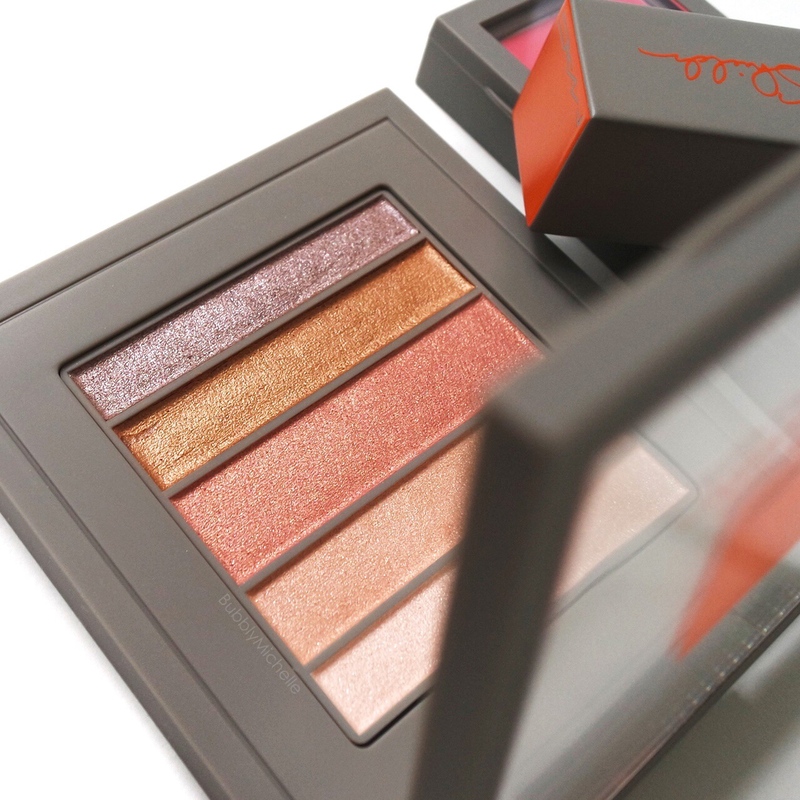 The peach eye shadow is my favorite too! Thank you so much for your kind compliment! I do like the eye palette as well! Oooh. I want the cream color base palette. Great swatches!